The Trump/DeVos administration has been busy during the past 18 months, rolling back significant protections for student loan borrowers and their families. Just in the past couple of weeks, there have been two new developments that curtail regulation of predatory schools, lenders, servicers, and debt collectors. 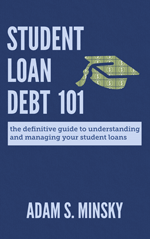 Student loan refinancing has been a hot topic during the past several years. Trendy new companies – like SoFi, Earnest, LendKey, and CommonBond – have been offering slick refinancing products to entice borrowers. Major banks and credit unions have also jumped in, sometimes offering tantalizingly low interest rates. 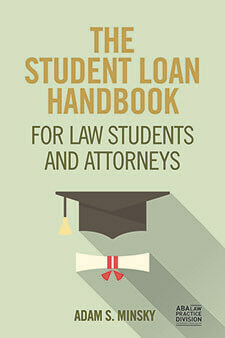 The best loan products are generally marketed to doctors, lawyers, and other high-income professionals who tend to have large amounts of federal student loan debt, but great earning potential and excellent credit. Public Service Loan Forgiveness (PSLF) would be eliminated. Current Income-Driven Repayment (IDR) programs like Income Based Repayment (IBR), Pay As You Earn (PAYE), and Revised Pay As You Earn (REPAYE) would be eliminated, and a new IDR plan would take its place. This plan would have payment amounts somewhere between PAYE/REPAYE and IBR, with a shorter repayment term (15 years) for undergrads and a longer term (30 years) for grad students. Subsidized federal loans would be eliminated, meaning all federal loans would accrue interest at all times, even during periods of in-school deferments. News outlets are reporting that the House GOP has drafted legislation that could reshape the entire federal student loan system. Student loan forgiveness is not a myth or a fairy tale. There are actual, legitimate programs that can provide partial or full forgiveness of your student loans – if the right conditions are met. But it’s those conditions that often trip people up. A recent New York Times article provided real-world examples of student loan borrowers who thought they are on the path to loan forgiveness, only to find out later that they weren’t at all. I see this all the time in my practice, and it’s usually because people don’t fully understand the required criteria for student loan forgiveness programs (mostly due to the fact that these programs tend to be complicated, and student loan servicers do a pretty terrible job explaining them). It’s time to start liberating yourself from your student loan debt. We’ve got a true student loan crisis – there’s over $1.4 trillion in student debt, and that number keeps on rising. The average undergrad leaves college with nearly $40,000 in student loans, and over 7 in 10 recent graduates are in the red. Twenty-five percent of student loan borrowers are in distress – meaning they are in a suspended status, behind in payments, or in default. And things only seem to be getting worse. With this as a backdrop, it’s easy to become paralyzed. 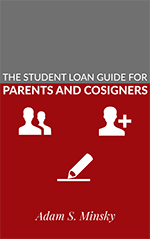 The loan balance figures and payment amounts can be distressing. Figuring our your repayment options can be overwhelming. It doesn’t help that loan servicers often provide incorrect or misleading information. It’s easy to feel like you’re lost. If you have multiple student loans, all with different loan balances, interest rates, and lenders, it can feel overwhelming to manage. Should you pay just your minimum monthly payments, or should you pay extra when you can? Which loan should you pay off first? How do you prioritize? Here are some general rules to consider.